We have an incredible range of high quality HP systems with good as new performance for a fraction of the price. Our refurbished models are ready to use and come with a variety of different specifications. Every product purchased from Hardware Associates comes with a minimum of one year’s warranty and our Q20 Promise. 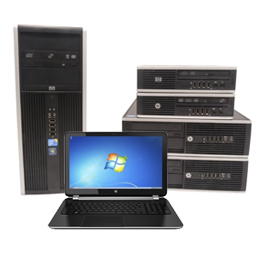 We always deliver outstanding, refurbished HP systems that enable you to have access to the best hardware and software for your budget. 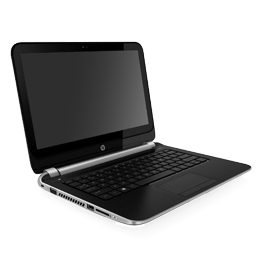 Why choose HP computers and laptops? Hewlett-Packard, founded by Bill Hewlett and David Packard in 1939, have a huge range of computer and laptop lines, with lines aimed at businesses and home users. They are known for having flexible options for consumers with a range of affordable and budget computers. Due to the number of lines they have developed, there is a computer for everyone, from students to gamers. 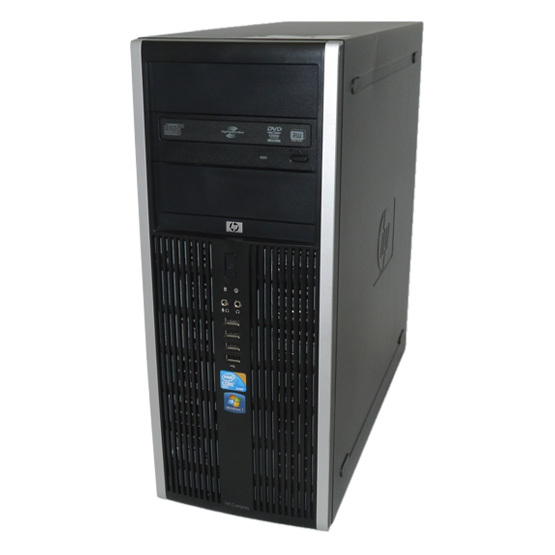 Our refurbished models offer you the high quality performance and reliable systems from HP, at great value for money. For more information on any of our HP systems or repairs services, please get in touch on 01428 707900. Our team are experts in all of our stock and will be able to provide further details on refurbishment work and advice on what model might be best for your needs.